Size : 18.0 x 20.2 mm Weight : 3.35 grams. 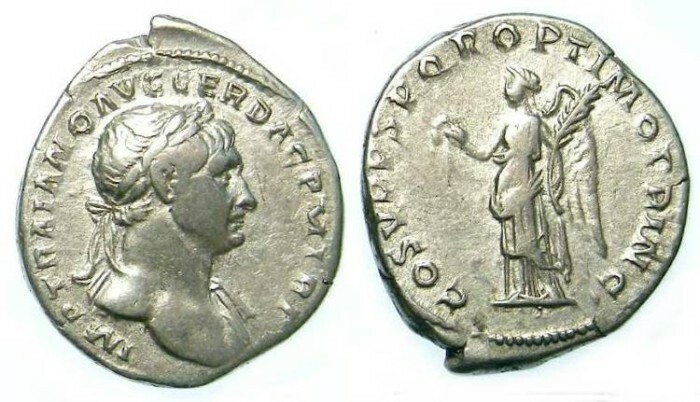 Obverse : Head of Trajan right, with IMP TRAIANO AVG GER DAC P M TR P around. Reverse : Victory standing left holding a wreath and palm branch, with COS V P P SPQR OPTIMO PRINC around.